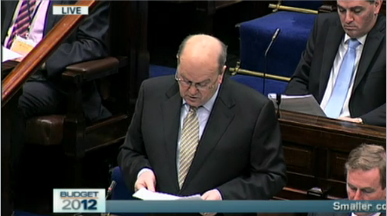 Michael Noonan, Minster for Finance is now delivering his Budget 2012 speech to Dáil Éireann. No change in the 12.5% Corporation Tax rate. First €100,000 of Research & Development expenditure to be allowed for R&D credit. Corporation Tax exemption for new companies extended for a further 3 years. Retirement relief for CGT to be modified – no detail of this measure included in the Budget Speech. CGT exemption for properties bought between tonight and the end of 2013 – if they are held for 7 years. No increase in Income Tax bands, rates or credits. 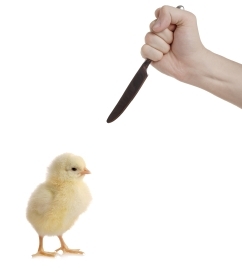 Carbon Tax goes up from €15 to €20 per tonne – a 33% increase. This increase does not apply to home heating oil or solid fuel. The income tax relief on pension contributions remains unchanged – tax relief will remain at the marginal rate of tax. A household charge of €100 per household is being introduced. Certain limited waivers will apply. Alcohol excise duty is unchanged. Thank you a lot for sharing this with all people you actually know whatt you’re talking approximately! The clearness for your put up is simply spectacular and i can think you’re an expert in this subject.